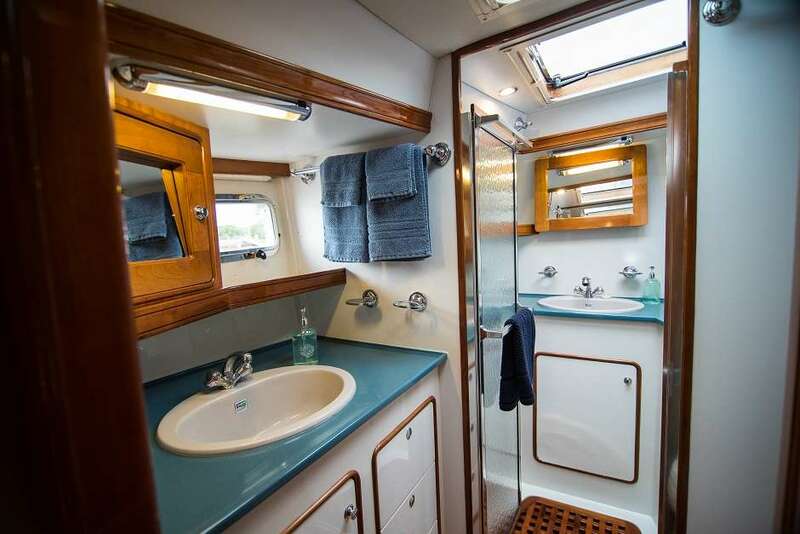 This is GIOVANNINO a Portsmouth Marine Power Cat 52 which is now available for charter. 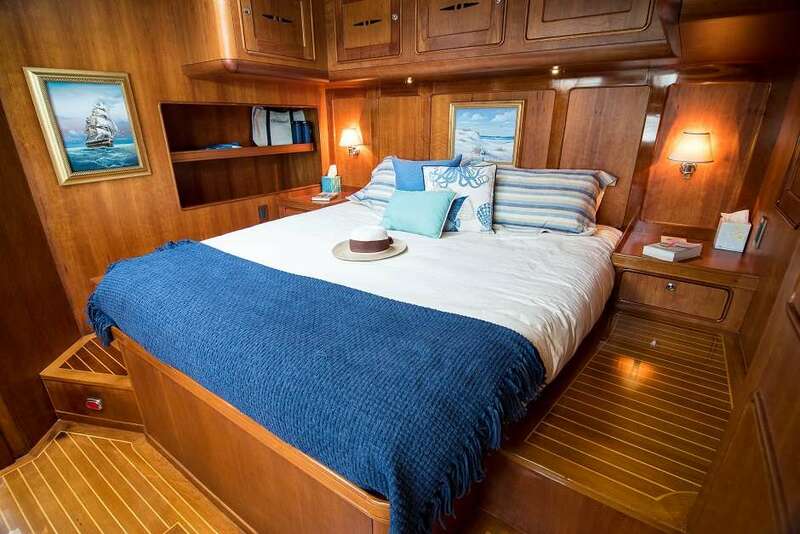 This unique yacht was designed by Ted Hood as his own personal yacht, incorporating his lifetime experience of ocean cruising and combines comfort with performance. 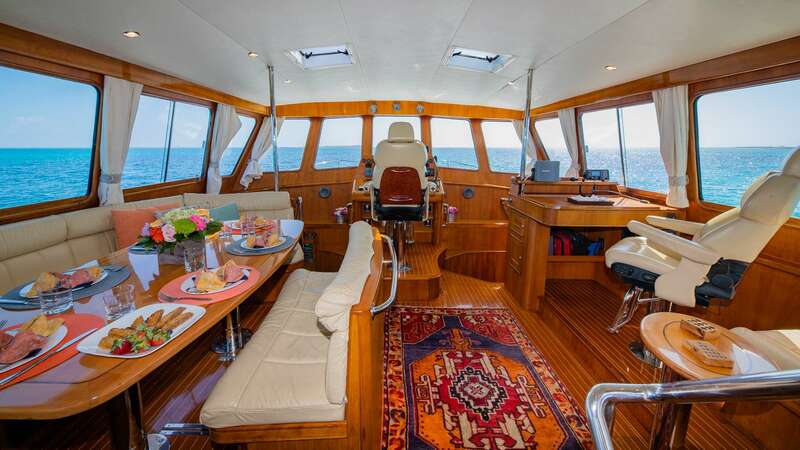 The traditional interior has varnished teak & holly floors and beautiful cherry woodwork throughout. 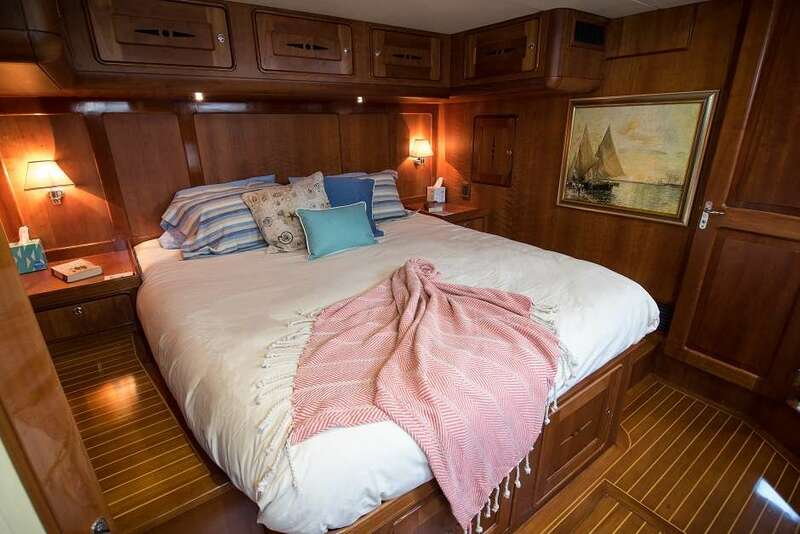 There are 3 large luxurious en-suite staterooms, Master and VIP King cabins plus a twin berth cabin. The dramatic raised salon, with 360 degree visibility has a large dining area with a leather settee plus a conversation pit with cocktail table and day head. 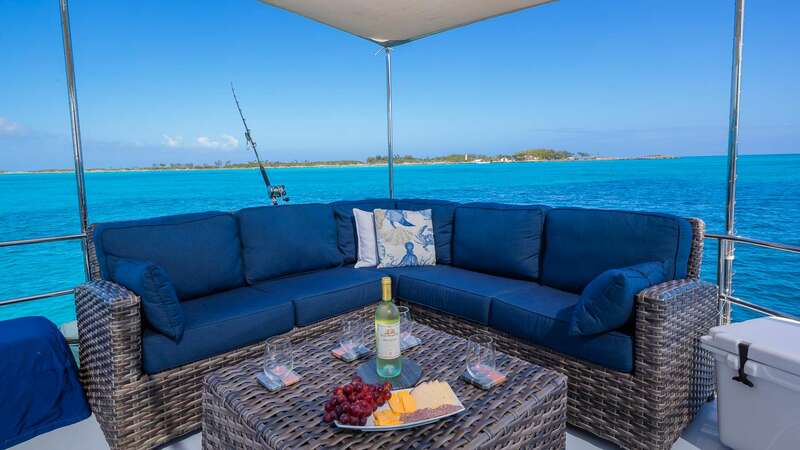 Just outside of the salon is a spacious upper deck that is perfect for watching the sunset with a cocktail. 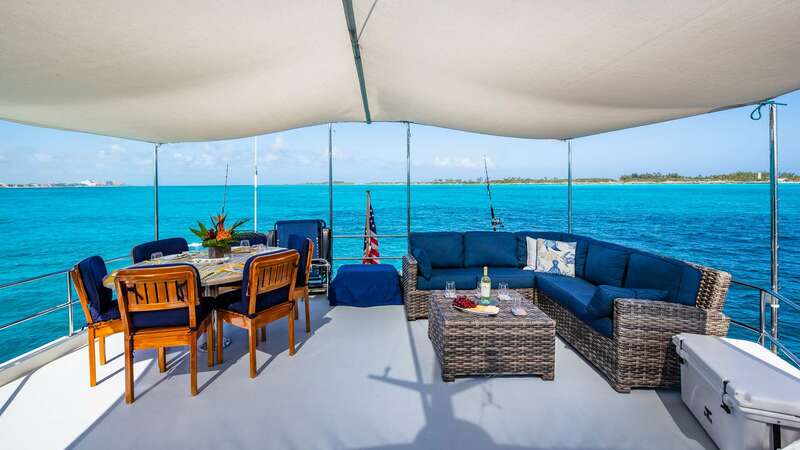 Below is a teak floored aft deck with a large U-shaped seating area and split table for easy access. 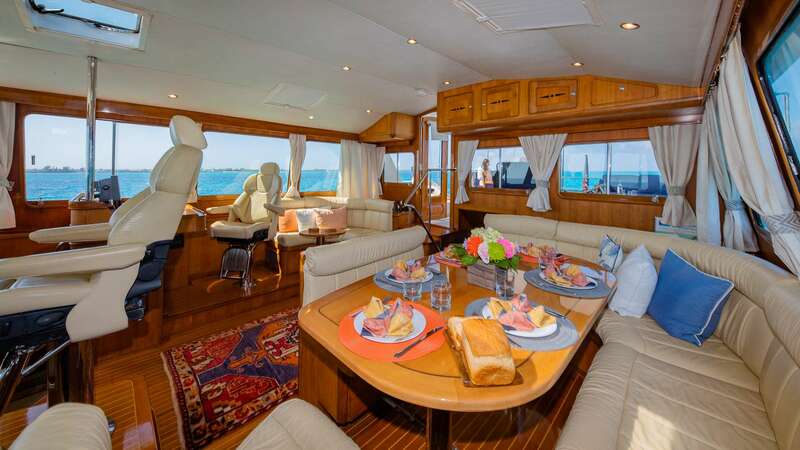 3 cabins available with flexible layout - Master king, VIP king and Twin cabin. 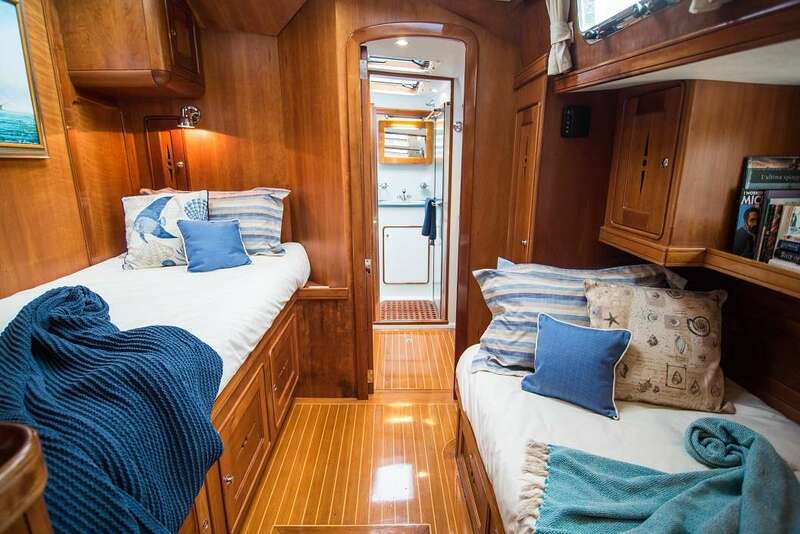 OR Master king and 2 x twin cabins available for guest use. The main deck also has a day head.